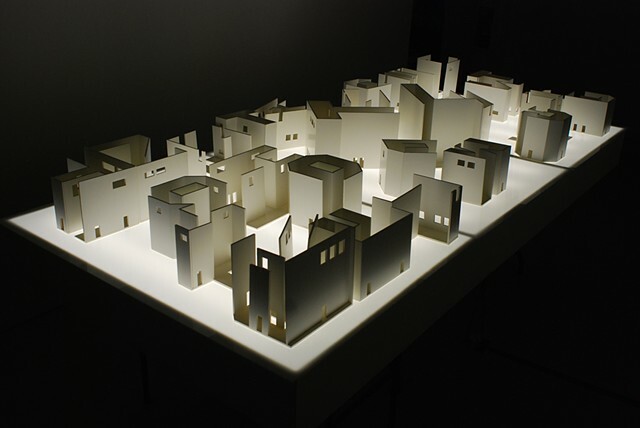 Model buildings are constructed using single letters from the Latin alphabet as their floor plan, collectively forming a small cityscape illuminated by dim light. 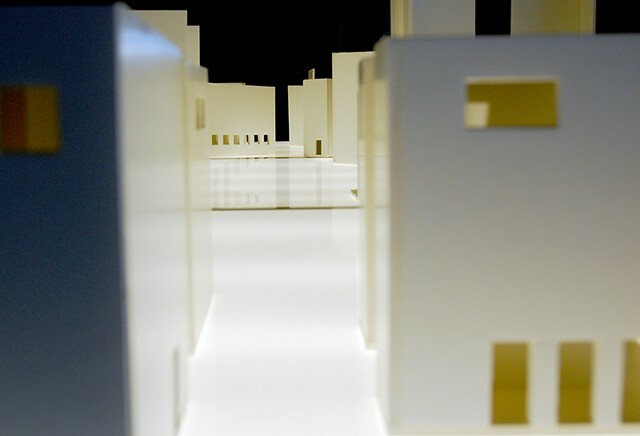 The model buildings, in plan view, letters, talk about the experience and perception on a city as a constructed structure with hidden meanings and rules. Also, they reflect my imaginings about the past, present, and future of cities.